Miami Slip & Fall Attorneys - Shamis & Gentile P.A. May 17, 2017by Shamis & Gentile P.A. Slip and fall accidents are consistently among the most common causes of accidental injury in the Miami area. The National Floor Safety Institute indicates that slip and fall accidents are responsible for more than 1 million emergency department visits each year. They can occur anywhere, including schools, malls, grocery stores, gas stations, and even on the sidewalk. While many people believe that slips, trips, or falls are usually minor accidents, these accidents can actually cause serious injuries including broken bones, soft tissue injuries, and even traumatic brain and spinal cord injuries. Did a hazardous condition cause your fall? Did the party responsible try to quickly settle your case or retain an attorney? If the party that caused your accident quickly offers you a settlement in return for you giving up your right to sue, it is a great indicator that you have an actionable case. In many cases, at-fault parties (or their insurance companies) will offer victims what seems like a reasonable sum to settle shortly after an accident, hoping they simply take it and do not speak to a lawyer. It is important to understand that in most cases, these initial offers are unreasonably low and do not adequately compensate victims for their losses. Also, if you try and contact the owner of the property on which your accident occurred and are told to direct any communication to his or her attorney, it is a sign that you have a case to pursue – and that you will likely have a fight on your hands when it comes to recovering compensation for your injuries and other losses. 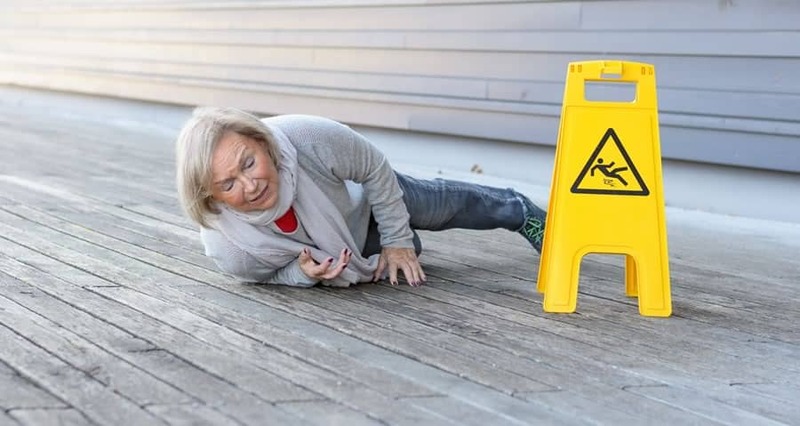 If you have been hurt in a slip and fall accident that occurred on someone else’s property, contact Shamis & Gentile, P.A., your Miami Slip & Fall Attorneys. If you can show that your accident was the result of negligence, you may be able to recover compensation for your losses. Such losses include your medical bills, lost income, loss of quality of life, and physical and emotional pain and suffering. Call us now at 302-479-2299 to get a free consultation. As your Miami slip & fall attorneys, we are dedicated to representing the rights of people who have been injured by negligent property owners or businesses. There are no fees or costs for anything unless we are able to recover for you. Call us 24 hours a day, 7 days a week, 365 days a year. We are here to help! Even if you do not have a case we will happily discuss your matter and give you our opinion on your best next steps. These situations are most likely new to you! Don’t be taken advantage of and call us today!